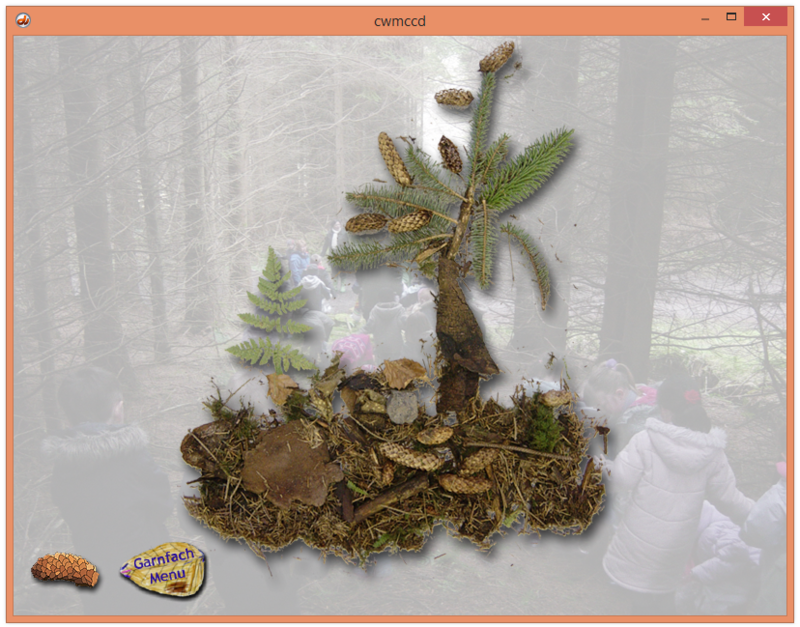 The navigation screen for the interactive disk. 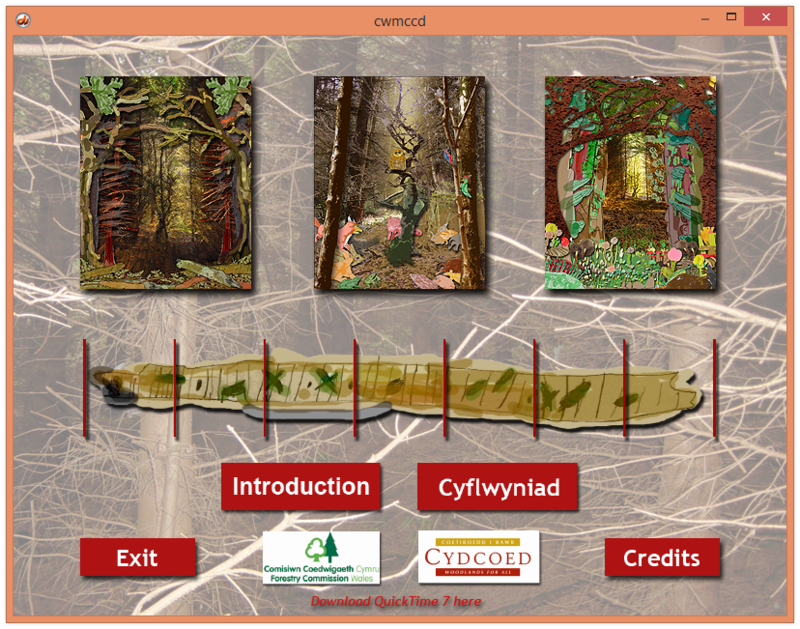 This screen includes the timeline the children produced which looks at trees in the UK dating back 390 million years. Children from Ystruth Primary School conducted interviews with local people to find out about the recent history of the area. 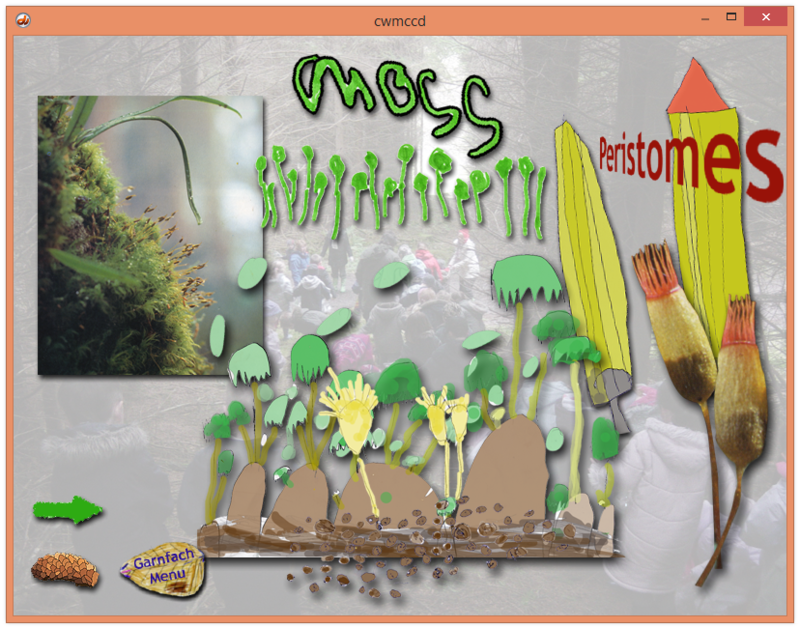 Cwmcelyn Woodland was explored in detail – the infants examined the forest floor and found out all about moss and fungi. 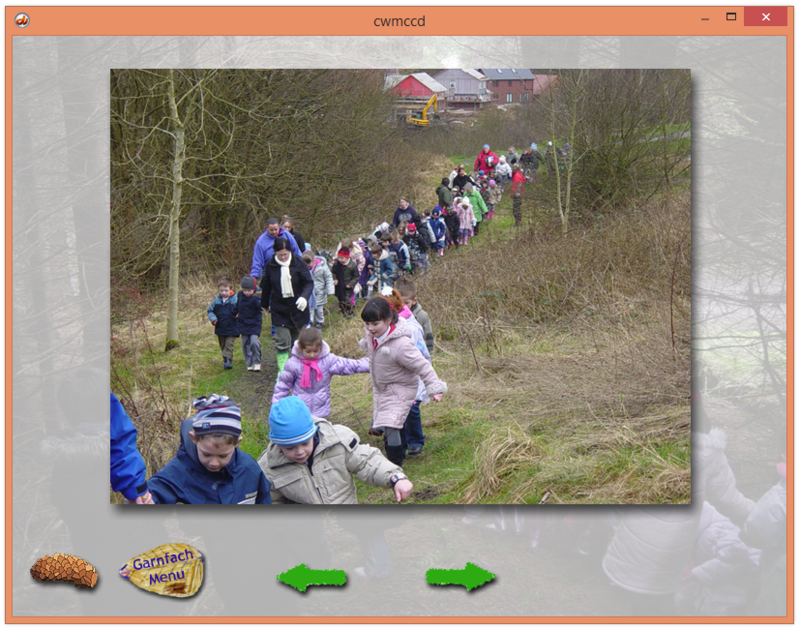 The digital print image below is in three parts, one section being produced by each school. A larger image can be seen here.